Prom season is in full swing and it’s definitely quite an exciting time. 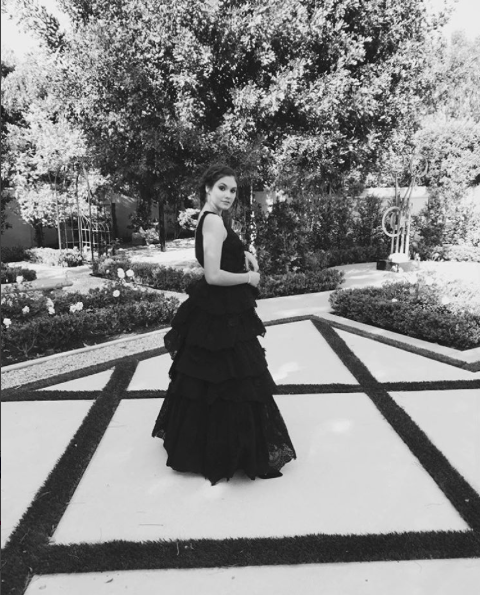 In fact, so many of our favorite celebrities are actually making their way on over to prom this year too, including our fave girl, Ronni Hawk! The lovely and incredibly talented Ronni Hawk looked so gorgeous as she attended prom this year. She looked so magnificent and radiant wearing a beautiful dress from Sherri Hill. Check out some more photos below of the extraordinary Ronni Hawk at prom. It looks like she had such a brilliant time and she looked like perfection! Next Article: Pre-Order DVICIO’s New Album, “Que Tienes Tu” And Watch The Making Of Their “Casi Humanos” Music Video!